The Best Bloody Margarita Ever! 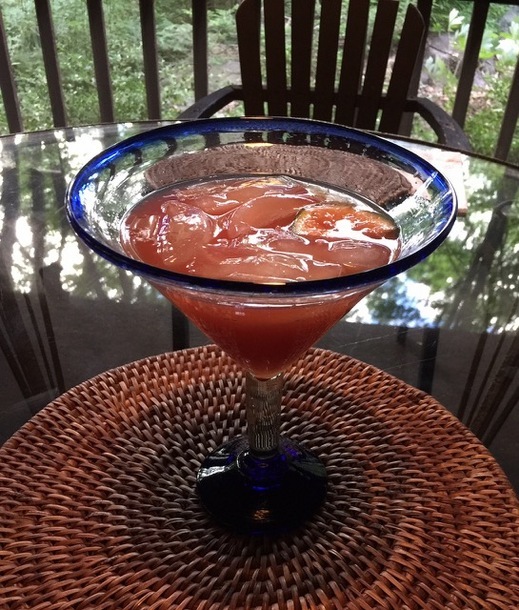 In honor of our 40th anniversary two days from now, I am sharing Elliott's recipe for my favorite Margarita. His secrets: clear Tequilla, Triplesec for its perfect orange flavor, and Minute Maid frozen concentrated Limeade with pulp (because fresh lime juice varies so much in consistency of flavor). I like to squeeze in a few slices of fresh lime for flavor and garnish and my most recent addition is blood orange concentrate which produces a stunning color and extra mellow and delicious flavor. Perfect Puree of Napa Valley makes a terrific blood orange concentrate. In Summer, we always have a large pitcher of Margarita in the fridge.